When the company behind MAM soothers started in the middle of the 70’s, the range of the baby products was not that large. New parents could choose between a nice design or functionality and safety. No soother combined both. Peter Röhrig who was a father and had a background in the plastic industry wanted to combine the two. 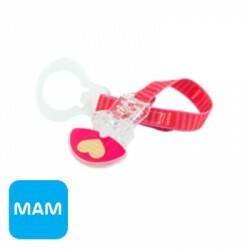 In collaboration with doctors, dentists, talented scientists and innovative designers and artists, he developed MAM soothers which have an attractive and different design without compromising safety, functionality and quality. 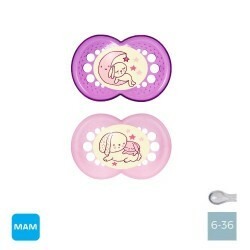 The MAM soother often attracts the modern parents who wish a different design, also with the motives on the shield of the soother. Colours and motives are modern and are developed constantly. You can choose among others nice monsters, funny phrases and sweet figures. 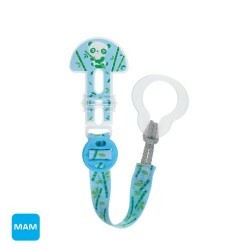 All the MAM soothers that are available at Byhappyme’s are sold in a practical box which can be used to sterilize the soother in the microwave. No need to spend your time boiling the soother anymore!